1. This year marks the 29th time the Australian Touring Car Championship/Virgin Australia Supercars Championship has visited Phillip Island. The circuit has hosted 58 championship races since the first round was held there in 1976, with the most races won by Craig Lowndes at 11. 2. Mark Winterbottom will bring up an important milestone at Phillip Island, his 200th Supercars Championship round start. The Bottle-O Racing driver becomes just the 15th in history to join ‘Club 200’ in a career that began as a Stone Brothers Racing endurance driver at the 2003 Sandown 500. 3. Brad Jones Racing also has a milestone to celebrate at Phillip Island - its 250th Supercars Championship round. Coincidentally, Phillip Island is also the circuit where the Albury-based team made its debut in the championship running a single Ford Falcon AU for team owner/driver Brad Jones back in 2000. 4. Rick Kelly will start his 500th Supercars Championship race at Phillip Island on the Saturday. The Castrol Nissan driver becomes just the sixth in championship history to start 500 races - the last was his older brother Todd in Townsville back in 2016. 5. The Safety Car has appeared in 14 of the last 21 races held at Phillip Island covering 2008 to ’17. In that time, the only event that has not featured a Safety Car at some stage across the weekend was 2015. 6. 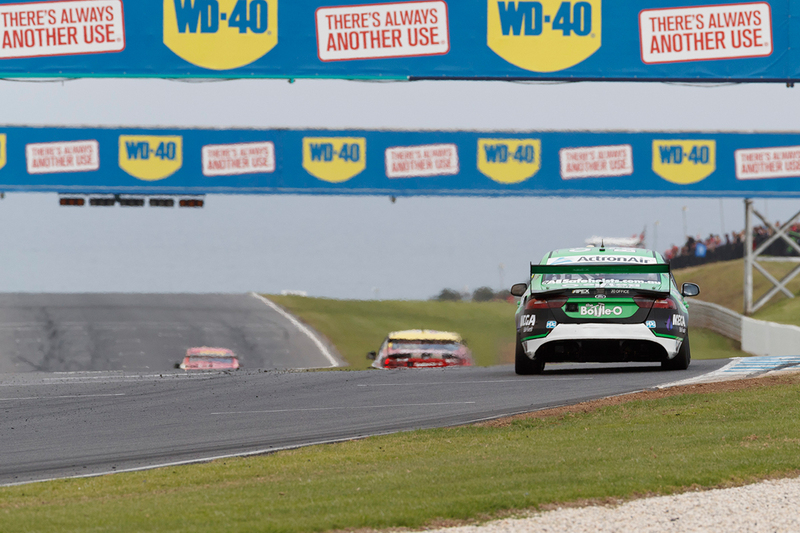 The closest competitive race-winning margin at Phillip Island in championship history remains 0.1243 seconds from Race 3 in 2006, when Winterbottom led home Garth Tander. This is the closest finish between competing cars, as distinct from team-mates finishing in formation - that record is 0.0935s, the margin between Glenn Seton and Alan Jones in Race 2 in 1995. 7. The closest Phillip Island Supercars Championship pole-winning margin remains 0.0058s, between Lowndes and Marcos Ambrose in qualifying at the 2005 round. 8. 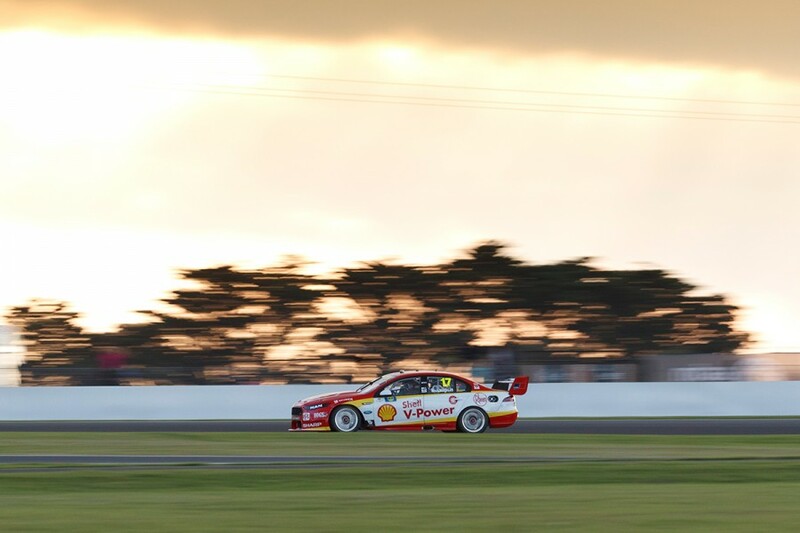 Shell V-Power Racing’s Scott McLaughlin holds the qualifying and race lap records for Supercars at Phillip Island with both set last year. He has taken the last four ARMOR ALL Pole Positions in a row at the circuit, the only driver to achieve this feat at Phillip Island in the championship’s history. 9. Eight drivers in the 2018 field have scored Supercars race wins at Phillip Island - Jamie Whincup, Winterbottom, Fabian Coulthard, McLaughlin, Tander, Chaz Mostert, Will Davison and Lowndes. 10. There are five Phillip Island Supercars rookies in this year’s field - Jack Le Brocq, James Golding, Todd Hazelwood, Richie Stanaway and Anton De Pasquale. Le Brocq, Hazelwood, Golding and De Pasquale have all competed at the circuit in the Dunlop Super2 Series across the last two years, De Pasquale winning last year’s round.